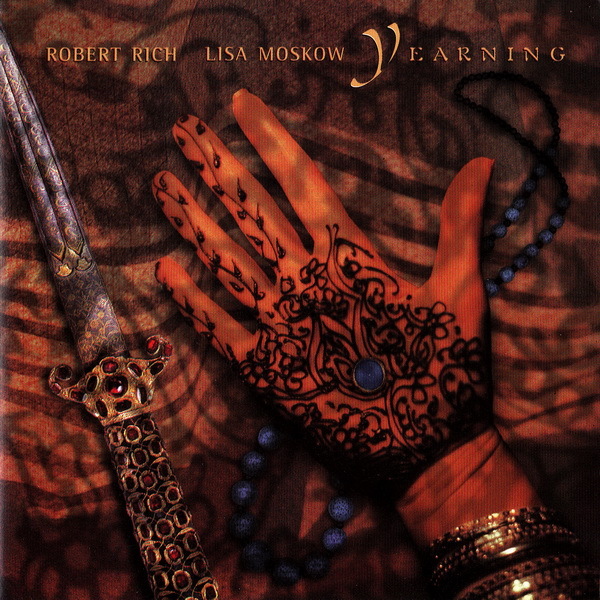 Rich's various sonic collaborations have taken another detour into new territory on this, his first album length collaboration with sarod player Lisa Moskow. From the huge soundscapes on his early tapes through the mathematical structures of the Geometry era to the more accessible sounds of Rainforest and Gaudi (and the tribal collaborations with Steve Roach), Rich has already left behind a legacy to contend with. Yearning is another subtle change in style to a more melancholic setting. Gone are the tribal structures of Propagation — Yearning is a very plaintive set of songs with a rich tapestry of synths acting as the backdrop to Moskow's mournful sarod playing. Certainly, this isn't anyone's cure for depression, this music has a very solemn feel to it. As a whole, it works very well — Rich has a knack for creating interesting and provocative atmospheres. Yearning is an interesting side step for Rich and is certainly his best effort in several years.